As part of our Engineering outsourcing solutions , we provide customers innovative mechanical engineering design solutions for all size of your needs. 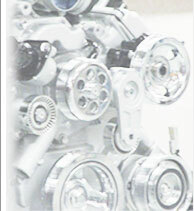 New Product design & development, enhancing existing product, component design, mechanical systems & Mechanisms. Our Mechanical Engineering design package strictly follow the design procedures and in-depth analysis with customer communication at each stage from concept generation, development, design detailing prototyping and manufacturing to deliver reliable designs meeting the requirement. The comprehensive design package includes the following process staring from concept generation to production pilot run. At this stage Product design information is supplied by the customer. In other words you will describe what you need and what you want it to do for you. All aspect of your needs and requirements from the product is then will be used to generate the concept of the design . The form and size of each components as well as the complete shape and form of the product is generated in form of a 3D Solid Model. Now the developed 3D solid model is used to apply detailed engineering design and analysis for each components and the complete product with various design considerations. Mechanical Engineering Analysis using Finite Element Analysis (FEA) for static and transient mechanical and thermal stress, Frequency and Vibration response, Static and Transient Heat Transfer analysis, Computational Fluid Flow Analysis(CFD) to predict Flow, Temperature and Pressure of the system, Failure Mode and Effect (FMAE) Analysis to predict failure modes and deriving Design Verification Plan (DVP) is done at this stage as part of our detailed design and analysis process and determine the dimensions of the product we want. At this stage we will optimize the design to save excess weight and material cost while meeting the product performance requirement. Optimizing the product to lower the cost and increase the efficiency. The customer will also be able review the product through our 3D Solid Model Automation presentation. Prototype with all characteristics of the real product is produced and different tests are performed to check that the product meets design requirements and performance requirements. Mechanical drawings of each component and assembly are created. Dimensioning and tolerance of components are which are used for manufacturing specifications are also produced. At this stage the complete design document is prepared.